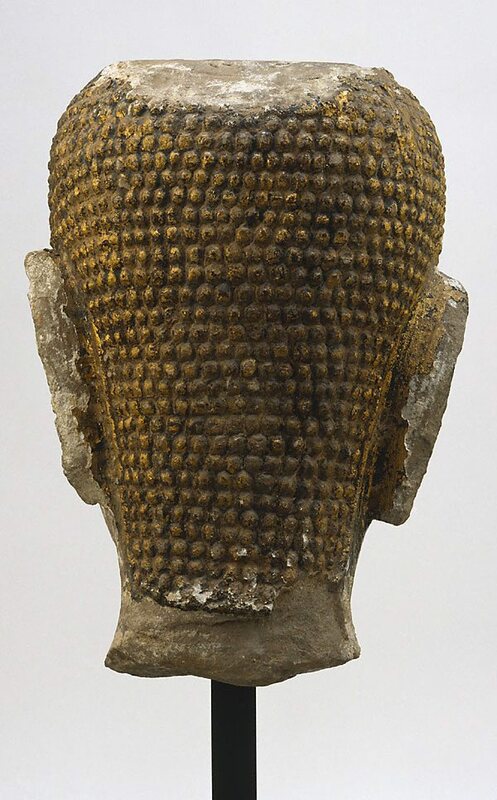 This exceptionally large head, once glowing with a coating of gold lacquer, belonged to a figure at least 15 metres high. This piece dates stylistically to the Ayuthaya period, when Buddha images drew on the Sukhothai heritage but exaggerated features to create a face distinguished by its oval shape, arched eyebrows and pointed nose. 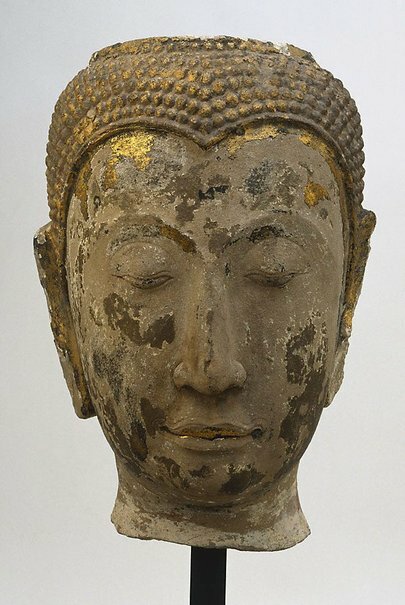 Other features of the Ayuthaya style are the small hair curls and the clear band separating the forehead from the head. The Asian Collections, AGNSW, 2003, pg.325. Jill Sykes, Look , 'Frederick Storch 1927-2003', pg. 12, Sydney, Feb 2004, 12 (colour illus. ).